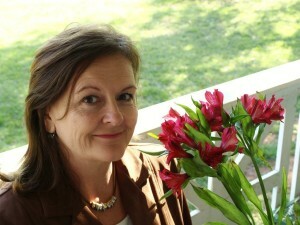 Dr. Dori Stiles specializes in individual and organizational development in the metro Atlanta, Georgia area. Her formal education is in industrial/organizational (I/O) psychology. With experience that spans the public and private sectors, academia and education, her singular focus is on creating lasting change through developing individuals. Dori’s focus on individual development began early in life. She formalized her interest through her education in psychology as an undergraduate (BA 1980) and I/O psychology as a graduate student (MA 1983 and Ph.D. 1985), all at the University of Georgia. Her varied work experience reflects her continued interest in individual development and her extended curiosity into career related decision-making. Individuals and organizations have benefited from her process that results in awareness, clarity, action and accountability. Training Director for the Highlands Company overseeing new affiliate and continuing education training. Partnering with the University of Georgia’s Institute for Leadership Advancement and College of Veterinary Medicine. Partnering with Georgia School Superintendents Association to enhance leadership development programs such as Superintendents Professional Development Program, the GSSA Coaching Initiative, and the District Office Professional Development Program. Partnering with Yellowwoods Consultants as the managing editor of The Complete Lawyer, a website focused on career and professional development and quality of life issues for lawyers, distributed through Bar Associations. Partnering with The Highlands Program (now The Highlands Company) developing corporate and leadership programs, training affiliates and representing Highlands to companies such as JP Morgan Chase, Marriott, Charles Schwab, IBM, Coca Cola Bottling, Cott Beverages and Ontario Teachers Pension Plan. Creating Turning Points, her coaching and consulting practice which emphasizes creating lasting change through developing the individual using assessments and a whole-person approach to career and work-life balance decision-making. Short-term, individual coaching is her specialty. Working at LOMA, a trade association to the life insurance industry, in the for-profit unit of this not-for-profit organization as a consultant, senior consultant and ultimately AVP conducting employee attitude surveys, overseeing customer service surveys, compensation studies, publishing managers guides, facilitating Executive Round Tables, and spearheading the biennial HR Forum. Assessing at the BellSouth Assessment Center (middle and upper levels). Teaching in higher education first at Georgia Southern University, and later at University of Georgia both in the management and psychology departments. Connect with Dori on LinkedIn to learn more or schedule a consultation to speak with her directly.